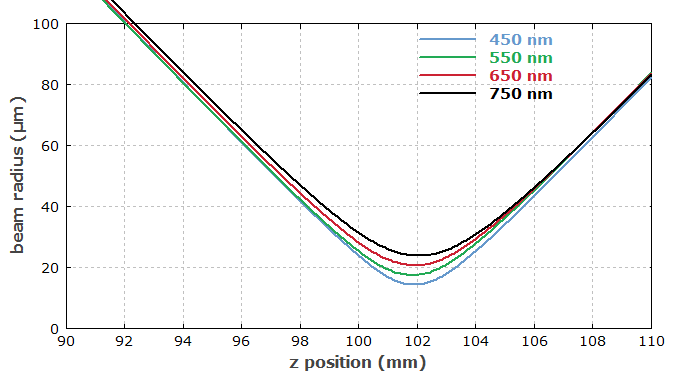 We optimize an achromatic lens doublet for a given focal length over some wavelength range. We assume that BK7 crown glass and SF2 flint glass is used. The basic idea behind such designs is to realize an overall focusing lens by combining a strongly focusing and a less strongly defocusing lens, where the latter exhibits stronger chromatic dispersion. Although the defocusing effect of the second lens is weaker than the focusing effect on the first one, its chromatic aberrations can compensate those of the other lens. 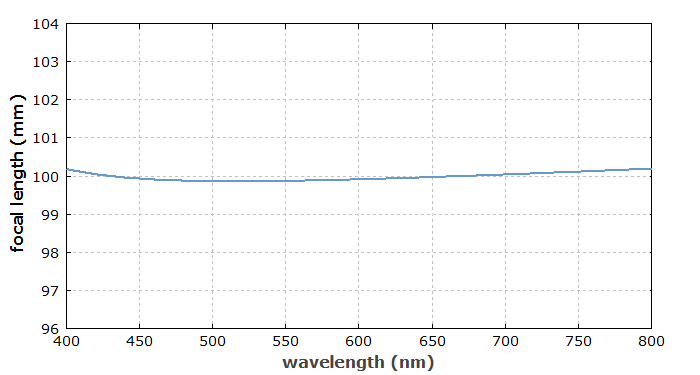 You can see that the software is very flexible concerning the definition of compound optical elements and merit functions, for example. It would be easy to extend that for lens triplets in order to realize apochromat lenses with further improved properties over a wide wavelength range.